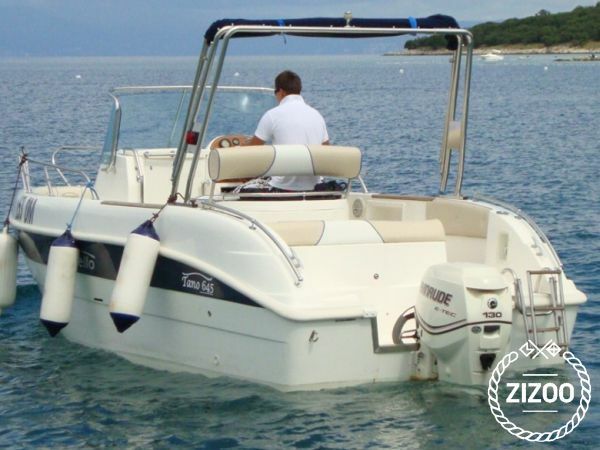 You don't have to look any further; this is THE boat for you and a group of your closest friends. Rent Marinello for a super fun day out, enjoy its speed and let it safely guide you to your desired destination. The girls can sunbathe and gossip at the prow while the boys can go diving and spear fishing. Dark blue water with its underwater cliffs hides so many marine creatures and a wide range of fish species. If you didn't take your spear you can always take the girls out to a romantic dinner by the sea. Candles, oysters, wine and chocolate dessert to top it off will be a perfect prelude to the evening, followed by hours of dancing at the club for an outstanding night out. Enjoy a lazy long morning on the terrace of your rented apartment, brunch at the nearby restaurant and head back out toward your new destination. Croatia's lovely north Kvarner cities are best approached by the sea and the islands most revealing when you come and go as you please.